AMK9 is a U.S. based canine service provider, specializing in expedited mobilization of explosive and narcotics detection, patrol, and dual/multi-purpose canine teams for government, law enforcement and private entities worldwide. 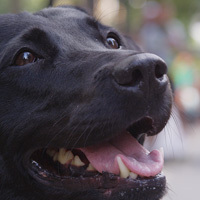 Our canine teams are specially trained to meet your needs in finding contraband that would be undetectable otherwise. Largely, our teams specialize in explosives or narcotics, but we have trained teams to detect cell phones, CD’s, money, and a variety of other items. The detection capabilities of a canine are endless; if it has a scent that can be re-created in training, we will adjust to meet your needs. We are internationally recognized as the largest canine service provider in the private sector market, we have more than 600 canines deployed; constituting more than 450 teams worldwide. We are known for our reputation of integrity in business practices, accurate and timely delivery of services, and excellence in quality and performance. We have trained, certified, and deployed more than 2,000 teams to various international and domestic locations since our conception in 2003. Our current Headquarters is co-located with our main training center, capable of creating more than 250 new teams annually. We have a well-established operations and logistics network – making us the preferred provider of canine support services to U.S. and foreign governments, coalition forces, diplomatic missions, international oil companies and private entities. AMK9 designed and developed a proprietary web-based Program Management Information System (K-9 PMIS), to track our Key Performance Indicators (KPI). K9 PMIS enhances our ability to understand and manage the full life cycle of our handlers and canines, providing insights into canine inventory, handler and project assignments, plus training and health records. The customer portals give our clients instant access to their projects, teams and their records with just a click of a button. If you are seeking an expert Canine Security Team dedicated to customer attention and finding solutions, look no further.